Thank you to Vern Remiger and staff at Remiger Design for donating their time and labor towards the renovations of our building. Remiger Design's generousity saved the Chapter over $17,000! A big thank you to NAPA Auto Parts for donating their proceeds from their trivia night to the Gateway Chapter! We are very thankful that best friends, Isabel and Kellye, found our Chapter in their search for which organization they wanted to raise funds for. 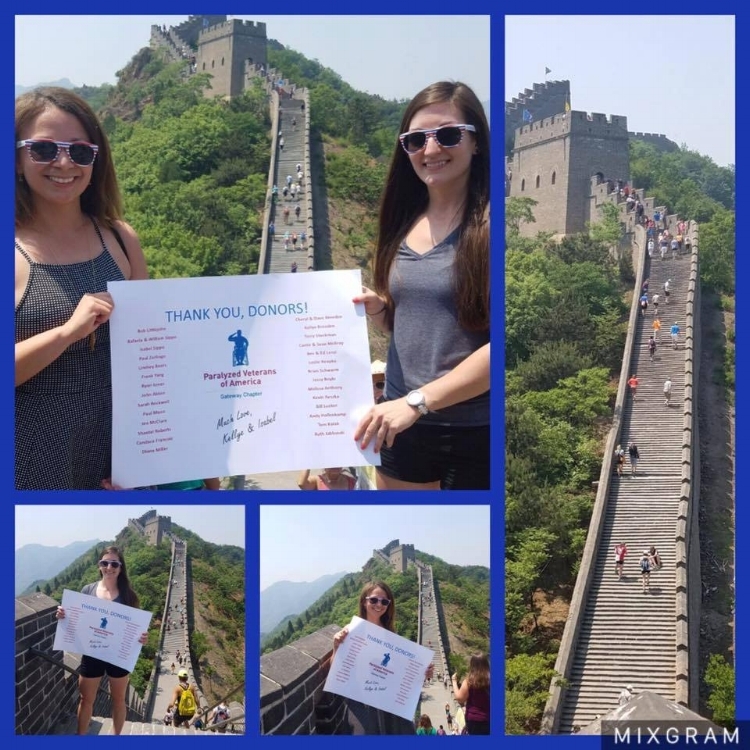 About two months ago the best friends started a fundraising page on Razoo hoping to raise $1 per step, of the 2582 steps to climb the Great Wall of China. They surpassed their goal of raising $2,582 for the Gateway Chapter! Congratulations and thank you to these two!! A big thank you to Combat Veterans Motorcycle Association Missouri Chapter 4-4 for their generous annual donation to the Gateway Chapter.